How Does UX Design Improve Your Website's Conversion Rate? Home Content Marketing How Does UX Design Improve Your Website’s Conversion Rate? How Does UX Design Improve Your Website’s Conversion Rate? It doesn’t matter what type of business you are in. Conversion rate is without a doubt one of the most important aspects of your business. You have to convert those potential customers into paying customers. Otherwise, new sales are not going to happen. However, you can increase your website’s conversion rate, and good UX design is the key. 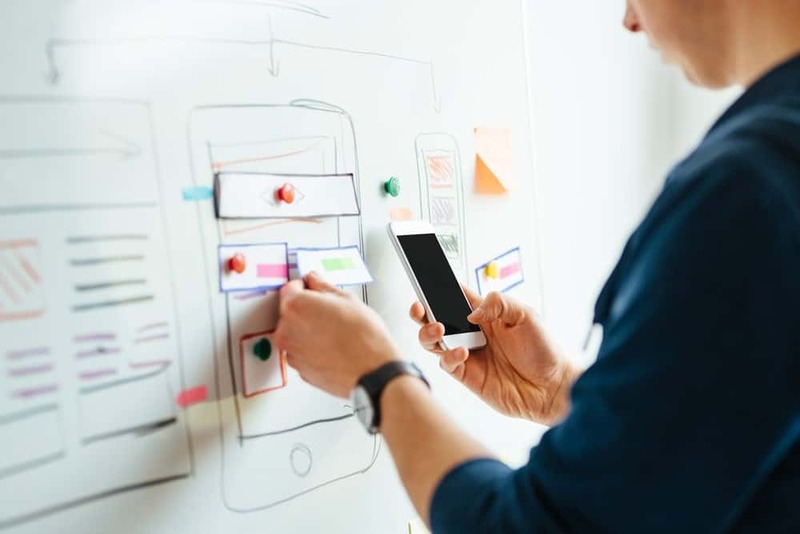 UX is short for “user experience.” Good UX design centers around improving customers’ overall experience of your website. So how, exactly, does good UX design improve your website’s conversion rate? UX design is particularly important for that moment when a customer visits your website for the first time. Just as with individual first impressions, a customer’s first impression of your website is critical, too. For example, did you know that it only takes 0.1 seconds for a person to gather their first impression about another individual? Well, you might be surprised to learn that it takes even less time for a customer to gather a first impression about a website. In fact, research shows that it only takes 0.05 seconds for a person to determine what they think about your website. How many times have you been on a website and found yourself endlessly scrolling? And then your mouse pointer turned into an hourglass or some other animation that indicated the s-l-o-w passage of time. You probably didn’t stay on that site very long. There is no need for you to expose your customers to such time wasters. With the appropriate coding and design, your scroll bar will work flawlessly. And your customers will have a smooth browsing experience. When your site works fast and smooth, customers will find it a pleasure to scour through all that your website has to offer. There is no better way to get someone to spend more time on your website than by getting them engaged. There are several ways you can do this. Offer a poll, or give them some useful information. Develop some how-to guides and present them as freebies. Whatever the situation, with the right visual cues you can encourage customers to spend more and more time on your website. The more engaged they are, the more willing they will be to spend time on your website and to purchase your products and services. Speed is one of the most important aspects of any website. In fact, several studies show that if it takes more than 3 seconds for your site to load more than half of those who are visiting your site will click out. However, with the right graphics, designs, and coding, your site will always load quickly. More than just about anything, you want to provide your customers with a quick and smooth viewing experience. At FuseLab Creative, we base every decision we make during design and development on the end user experience. We believe that the primary function of any website, regardless of the industry, is to create positive and engaging user experiences.